Summer is in full swing here. I am trying to keep to a normal life schedule and make it to bed before 11:00 p.m., and wake up before 8 a.m. The longer into summer I get, the farther from this schedule I drift however. Summer means lazy days. I pretty much do nothing and I only get half finished. So I have to work on it again the next day. Don’t judge me. I spend a lot of time outside in the backyard just sitting and listening. 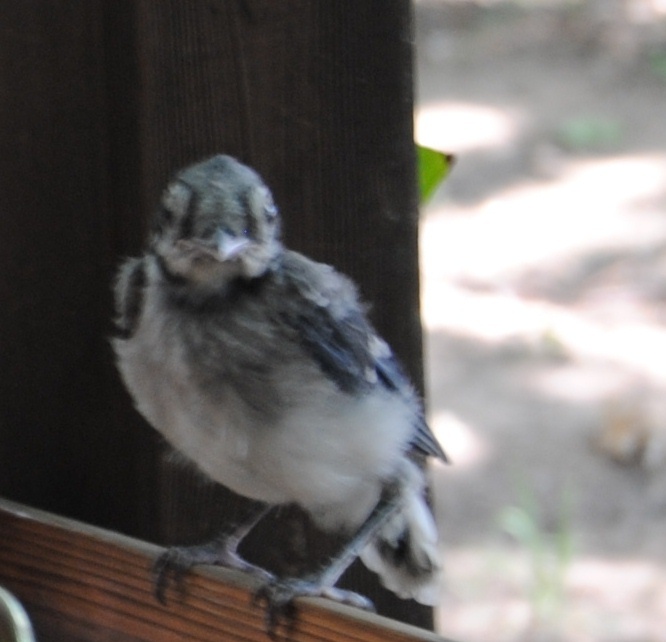 Last summer, a weak baby cardinal who needed more time in the nest, hopped around my backyard for a week while it’s momma and daddy squawked their encouragement to take to the skies. 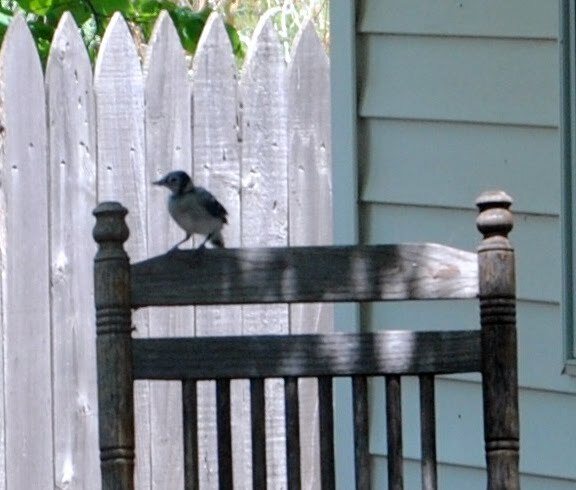 This summer, a baby blue jay hung around for about a day. It’s wings weren’t quite strong enough to fly. It could flutter up a little ways, but needed a bit more practice. 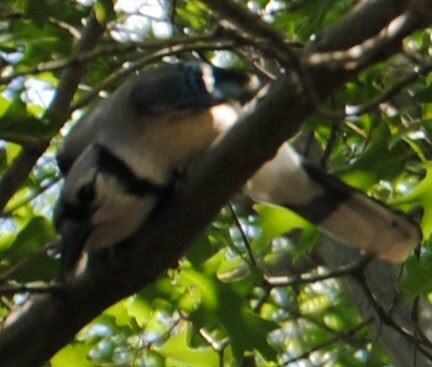 I tried to get pictures of this little birdie, but SOMEONE had her beady little eyes on me every second. I’m not mentioning any names, but just look up there. There. In that tree. See her? Yeah, that’s the someone I’m talking about, the one who hoped to put her beak in my eyeball. ……I was nearly assaulted by this overprotective flying creature. Pardon the blurry picture, but it’s hard to take a picture when you’re screaming and running scared. 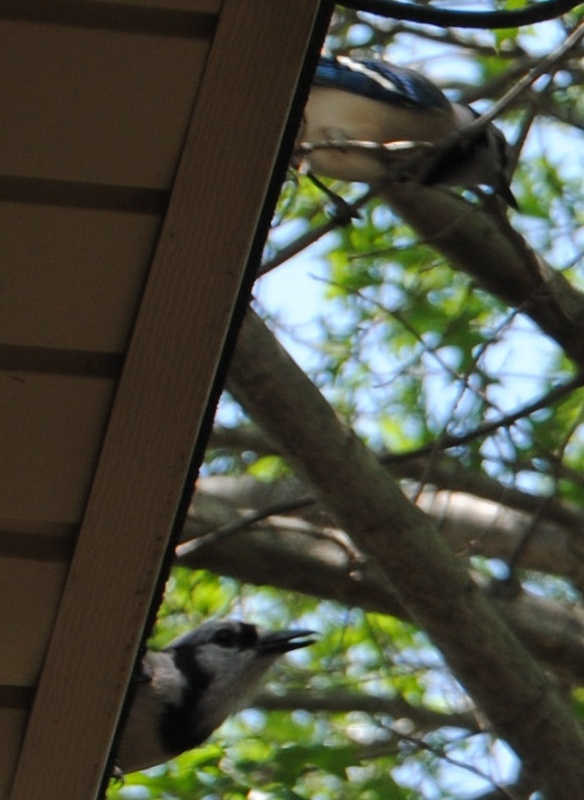 I think there was a male bird present as well. They hung around and ensured me they weren’t happy, not one iota, with me nosing around their baby. 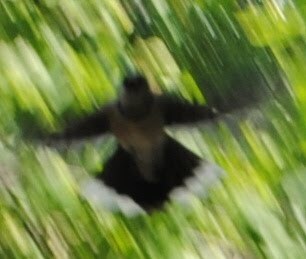 The swooped and sailed and flew and dove at me. Squawking and squawking some more. I flapped and swatted and cried for my mom. Then ran in the house and watched from behind the window glass. 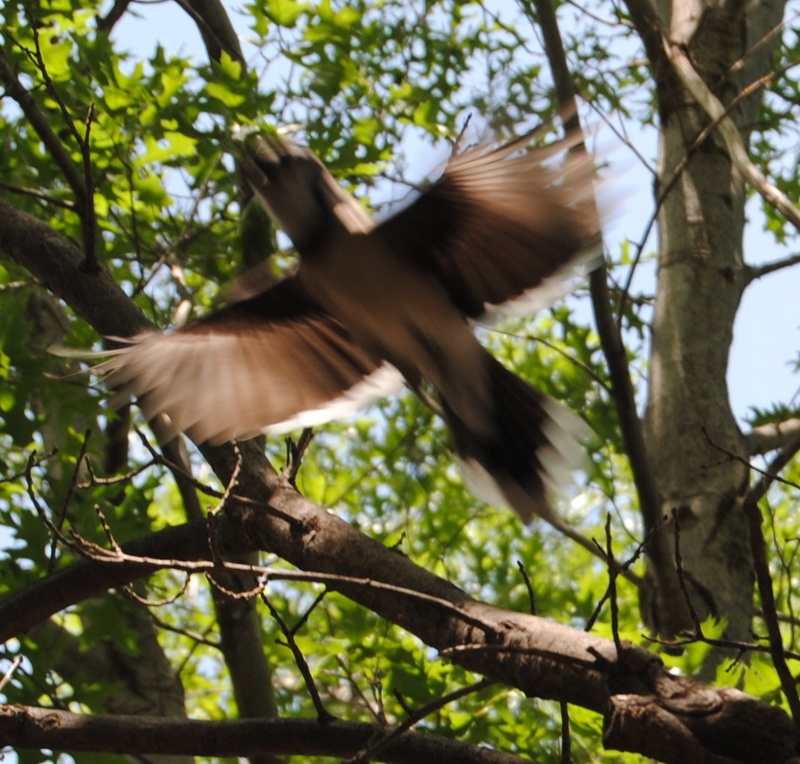 Finally, the little feathered fellow triumphed and took flight into distant skies. ‹ PreviousOutside of a dog, a book is man’s best friend………..
Next ›If you see my creative genius wandering aimlessly, point him in my direction PLEASE! !